Just a quick run through of what I’ve been doing for the last few days, namely setting up our build / development server. It’s running Fedora, and the end goal was to have redmine, artifactory and hudson all on the same server, all running on port 80. Once it’s installed and running we should be able to run automated builds (using hudson) when we commit to subversion and have those builds available from maven (using artifactory) for our Servicemix installation on another server. It’s been a fun ride, redmine in particular was loads of fun to get going since I’ve never really setup a rails application before. Anyway, on with the run through. Please note that this is a very basic guide, and assumes you’re comfortable with the linux command line and so on, it’s not really for beginners. Install fedora, ensure apache / mysql are installed and working, also install the latest JDK (guide here) and ensure your JAVA_HOME environment variable is set correctly. Download & install redmine following instructions here (for this example assume you installed redmine into /var/redmine). You might have problems with bundler reporting some missing libraries, specifically ‘Rmagick’. this should help with that. before setting up apache we need to change the port the ‘ajp’ connector runs on, as our hudson installation will steal this later. Finally, we need to tell hudson that it’s running on /hudson otherwise all the css / js links break. And this has given me some motivation to restart development…. I need some sort of project to work on since giving up facebook (I deactivated my account last week in the hope of spurring some productivity) and revisiting jNag might be just what I’m looking for. Feel free to comment if you’d like to see development restarted, and even shout out some features you’d like to see added if you like. Note: I doubt I’ll be doing any work on the IOS version of jNag. I don’t have an apple development platform at the moment, and don’t see me getting one for the foreseeable future (unless I switch jobs and get a new Air as part of my package. Well, I can dream!) so any future development work will more than likely be android only. The first thing we need to do when starting to work with fuse ESB is set up our build environment. For this we’ll be using Eclipse, with the FUSE IDE plugin and maven. 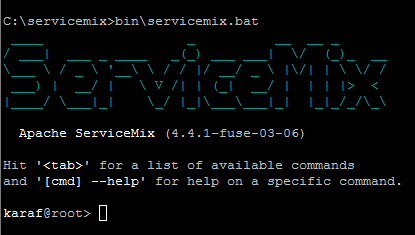 I’ll also cover downloading and installing Servicemix, and then generating our first FUSE project. I’ll be using a windows box for the majority of this tutorial, but it should be fairly straightforward to get this working on your favoured flavour of *nix if you’re so inclined. There’s a lot to get through here so lets get started. To make sure we can use maven from the command line we need to add it to our ‘Path’ environment variable. 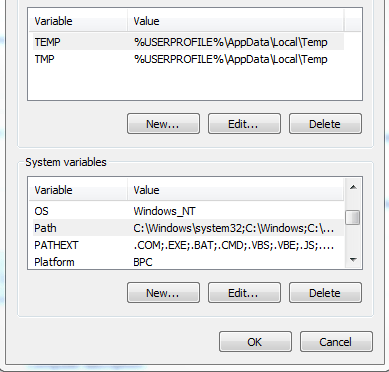 On windows 7 you can do this by right clicking ‘Computer’, selecting ‘advanced system properties’ then click the ‘environment variables’ button. Once the box opens scroll down until you find ‘Path’ under system variables, click edit and add ‘c:\program files\maven\bin’ to your string. That’s maven setup, lets move onto something a little more challenging. Before we can install our FUSE products we need to grab the Java Development Kit (JDK) and ensure that Eclipse and servicemix know where to find it by setting our ‘JAVA_HOME’ environment variable. grab the JDK from here: http://www.oracle.com/technetwork/java/javase/downloads/jdk-6u25-download-346242.html and run the installer. Once it’s installed you need to go back into the ‘Environment variables’ box we were in during the Maven installation and add a new variable called ‘JAVA_HOME’ pointing at the Directory your just installed the JDK into (by default it should be something like ‘C:\Program Files\Java\jdk1.6.0_25’). Personally I’ve had no problems using the later ‘Indigo’ version of eclipse, but FUSE recommend Helios for working with their IDE so we’ll stick with that. Run the installer as usual. Once it’s installed we need to get the FUSE IDE plugin. Go here: http://fusesource.com/products/fuse-ide/ to download it. You need to register as part of the ‘Fuse community’, then add the update site listed on that page to your eclipse installation to add the IDE plugin. Once that’s done the final part of the Eclipse installation is to make Eclipse use our previously installed maven repository rather than the one that comes bundled with Eclipse. In the Eclipse main menu open ‘Window’->’Preferences’. Then select ‘Maven’->’Installations’. Click ‘Add’ and browse to your maven directory (in my case it’s ‘c:\program files\maven’). Click OK and you’re done. 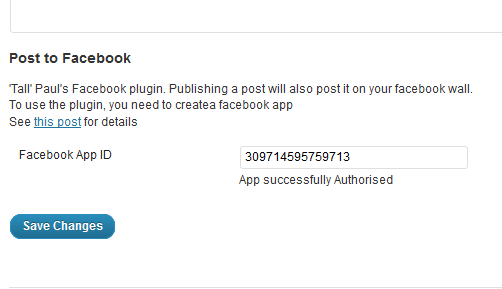 For our ServiceMix installation I’m going to use the packages provided by FuseSource as ‘Fuse ESB#. You can get the latest version from here: http://fusesource.com/products/enterprise-servicemix/. Download the latest Zip file and extract it somewhere obvious (c:\servicemix for example). Now everything’s setup lets try generating and deploying a simple test project. Next run the command ‘mvn archetype:generate‘. this will prompt maven to download the latest list of archetypes and display them as a huge list. Luckily we can filter this list if we know the name of the archetype we want. Type ‘karaf-blueprint-archetype‘ to return our filtered list, which should have 1 entry. press 1 to select this entry and then from the list of versions that follows select the latest one (at time of writing this is 2.2.7). Once you’ve entered the details a simple ‘Y’ will confirm them and generate our project. The next stage is to import our project into Eclipse. 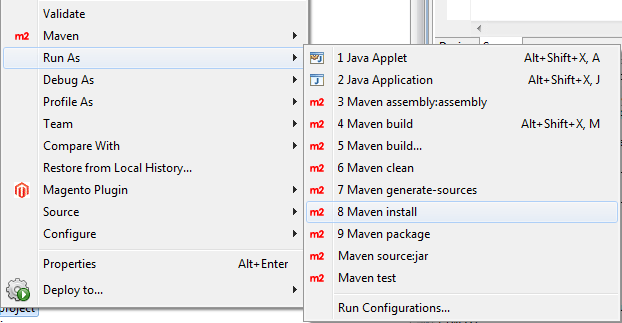 In the Eclipse main menu select ‘File’->’Import’, then from the import box scroll down and select ‘Maven’->’Existing Maven Projects’. Click ‘Finish’ to import the project. You may get a ‘NullPointerException’ here for some reason, but the project should still import. Now let’s make our project actually do something. There’s a few files and folders here to take note of, and we’ll go into these in more detail in further installments of this series, but for now let’s just jump in and start hacking around. 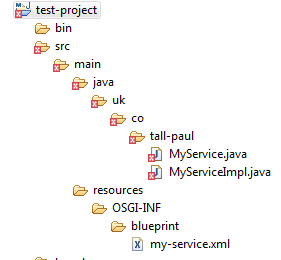 First of all we can remove the sample java beans that Maven gives us, so delete the two files under your java class path. In my case this is ‘test-project\src\main\java\uk\co\tall-paul’. This simple route basically uses a timer to fire off a message every 5 seconds, then logs ‘hello world’ to the console. 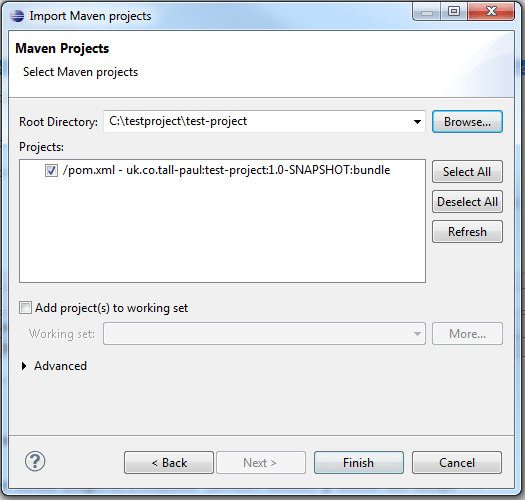 To build the project we can run maven from the command line or from within eclipse. Thanks to the integration of maven into servicemix, deploying our project is trivial using the ‘install’ command withing servicemix. You can see that every 5 seconds our timer is going off and logging our message to the console. You can also see here the name of the component the message originated from (remember we put ‘test’ as the first parameter for our timer component) and the route in which the message is running (here it’s ‘hello-world=route’), which indicates the importance of naming your routes and components sensibly. Hopefully this brief tutorial has shown how easy it is to get up and running with Fuse ESB development. Next time we’ll look at how to use the environment we’ve set up here to do some real integration work. Update: I’ve fixed a couple of issues with the code in this post, based on the comments in this post on the magento forums. One of the nice features of Magento is the extensive SOAP api it provides for integrating magento with your own or third party applications. However, when it comes to extending that API the documentation is pretty sparse. I’ve spent the last few days struggling to get to grips with this and, after spending some time debugging in the Varien autoloader class I’ve finally got it working. In this example we’re adding a new section to the already existing ‘writing’ settings page. Since I only have one setting (the app_id) it would be overkill to create a whole new page in the setting sinterface for it. There’s four parameters for the ‘add_settings_section’ function, but they’re fairly straightforward. The first is an identifier for your section, which can be anything but you’ll use it later so make it sensible. The second is the title that will appear for this settings section (we’ll see what this looks like later). Third is a callback function which will be called when this section is ‘placed’ on the page. This is generally used to add some introducrtory or descriptive text at the top of your section, so people know what it’s for as you can see from my example. Finally we have the identifier for the ‘page’ that we want the section to appear in. Here we’re using the pre-existing ‘writing’ page, rather than creating our own. The ‘add_settings_field’ function actually places our setting on the admin page (although we control how the field appears using a callback function as we’ll see shortly), it has 5 parameters, but the first 4 are logically similar to those we’ve seen for ‘add_settings_section’: an identifier for this field, a title to display next to the field, a callback function (which we’ll look at in a minute, because here the callback is used to display the field itself) and then the page for the field to appear on. Finally, we also have a 5th parameter which refers back to our section identifier so the setting appears in our created section. There’s only really 2 things to note here. The first is how we get the current saved state of our setting back from wordpress usingthe ‘get_option’ function, with the identifier of the setting (as used in ‘add_settings_field’) as a parameter. Secondly we can see how we actually get an input for this setting placed on the admin page… we simply echo it directly to the page from this callback function. There’s a lot of flexibility over how you want your settings to appear inherent in this method, since you have total control over this stage of the page construction. You should be able to tell what those parameters refer to now…the first is your page identifier, and second is the identifier of the new setting. //don't forget to close the wrapping function! So this week I ran into a wonderful problem while working on jNag, namely how to connect to servers over SSL using phonegap (which jNag relies heavily on). Phonegap is a wrapper around Android’s native webview class so (I thought!) the answer lay in somehow getting the webview to accept a self signed certificate. The package for 0.77 included the wrong html file.